Spanning southeastern British Columbia, Canada’s Powder Highway claims the highest concentration of skiing and snowboarding in the world, with eight alpine resorts, dozens of heli and cat operations, seemingly endless backcountry (including huts and cabins), plus Nordic skiing and unlimited backcountry touring options. An exposé could fill an encyclopedia. Here are a few choice operations worthy of digging for gold. Revelstoke: Couloirs scratch down the Selkirk Mountains like bear claws, revealing rugged peaks that bleed potential. Cat and heli-skiers have been tapping this untracked treasure trove for decades, and in 2007 Revelstoke Mountain Resort started spinning lifts to access this big-mountain terrain. With just two chairs and a gondola (and no crowds), Revelstoke delivers a mile vertical and over 3,121 skiable acres (nearly half advanced terrain). Go for glory (or humiliation) on “Kill the Banker,” a cliff-riddled run under the gondola. When the alpenglow fades, head to pint-sized Golden (tourismgolden.com) and swill microbrews like Blower Pow IPA at Whitetooth Brewing Co. (whitetoothbrewing.com). Turn-earners, note that Golden is a staging point for 20+ backcountry huts (info at cvhsinfo.org and alpineclubofcanada.ca). Another unusual perk: winter paragliding. 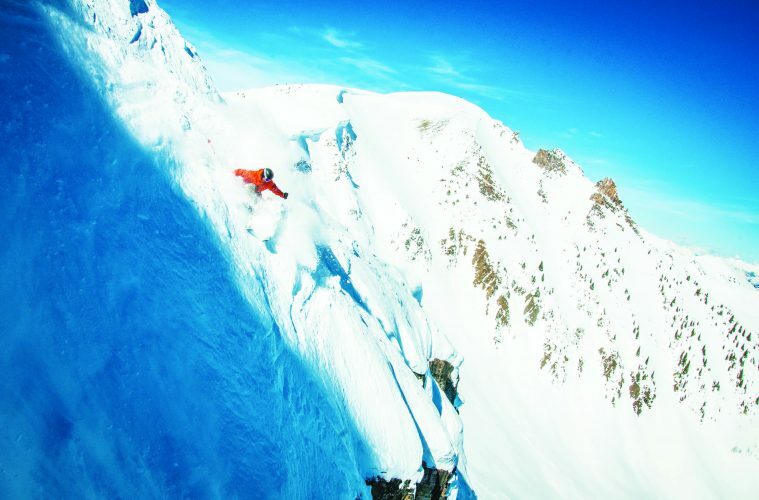 Flying Max (flyingmax.com) soars skiers off the mountain for woozy views of the Purcell Mountains. To cap the day, schuss into mid-mountain après at Elkhorn Cabin to cook raclette on a tabletop griddle and tip back hot toddies. The ski down by headlamp is a hoot. Panorama is three-and-half-hours from Calgary, unless you swing south to Kimberley (skikimberley.com) and Fernie (skifernie.com), but that’s a whole ’nother story.